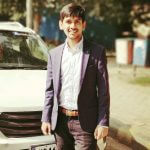 These days, mobile apps are considered as the powerful tool for increasing traffic and sales, which automatically leads to the growth of the company. However, when it comes to building mobile apps, the most important thing to consider is the app development cost. It is seen that customers are always in the search of high-quality apps at relatively low prices. There is nothing wrong in saying that the development cost varies to a large extent or in other words, there isn’t an average as the pricing depends on several important things. This blog post can help you in figuring out the price of your app development project by taking into account some important points. App development team can be divided into two categories basic and extended and before moving further, it is important to understand both these types. It is said that the basic team includes a project manager, UI/UX designer, quality assurance engineer and two programmers. Whereas, an extended team involves all the players of the basic team with an admin panel designer, 2-4 iOS or Android developers per platform and a backend developer. There is no denying that some functionality in smartphone apps need smooth integration with third party libraries, frameworks and nevertheless, service. For instance, if you want to add social media sharing capabilities then it can be accomplished with Google+ and Facebook etc. This is known as a very useful tool as it helps in managing users and content in a hassle-free manner. In addition, operating apps and viewing stats can also be easily done. However, the saddest thing is that finding a qualitative and flexible admin template is very difficult. There are numerous in-app purchases that can be incorporated, but a lot of task is involved at the time of implementing in-app purchases. Due to this, technical complexity of the project also increases. Nowadays, mobile phones are equipped with several hardware components such as accelerometers, NFC, heart rate sensors, bluetooth, barometers, GPS and many more. However, finding the right approach and testing the way hardware components interact with software may increase the cost and timing of development. If you are looking forward to have an iOS app, then it should be compatible with the previous as well as latest versions of iPhone and it should support old and new versions of iOS. On the other hand, the world of android apps is diverse. There are three most important factors that influence the decision of deciding which devices to support such as client’s choices, devices specific to a given market and lastly, market share for each android device manufacturer. When there are more devices then there is definitely more time spent on adapting the apps for several screens, resolutions and hardware specifications. App development cost not only includes money that you spend on the actual programming activities, but also funds for growing a product, which means updates, backend server maintenance, cloud hosting, app marketing and promotion. The cost of mobile app development, whether it’s for Android or iPhone depends on the need of the number of hours needed to complete the project. Due to this, the app is divided into simple, little bit complicated and highly complex app. Simple apps usually includes standard UI components, feed list, map markers as well as simple filters and generally takes up to 600 hours and the pricing starts from $ 20,000. Little complex apps include custom UI features, integration with APIs, real time chats, simple backend server and payment features. Hence, its development can take 600-800 hours and the cost falls between $ 35,000 to $ 50,000. Highly complicated apps possess audio/video processing, real time synchronization, tailor made animations, complex backend and integrations with third party services to name a few. Time for developing such app usually takes more than 800 hours and the price falls between $ 60,000 to $ 80,000. A rough estimation of the app project is done by the service provider, which helps in identifying approximate number of hours required to build a mobile app. After getting its approval, project related documentation and wireframe of an app are prepared. In conclusion, all these factors can help you in determining app development cost, which you might expect to give away for your world-class iPhone or Android app. Hence, these factors should be considered. 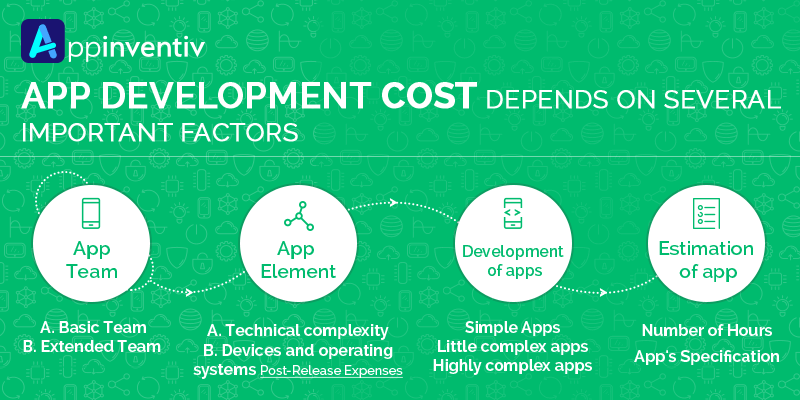 Read our detailed analysis about the factors affecting app development cost in an interesting infographic format.